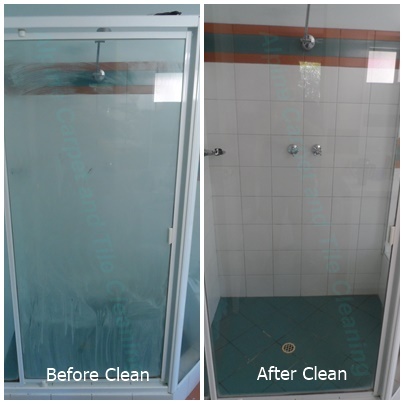 Alpine Shower Screen Cleaning Perth guarantee to bring back the sparkle to your glass shower screens by removing all calcium and hard water scale build-up quickly & easily. No fuss, no mess. Just results! 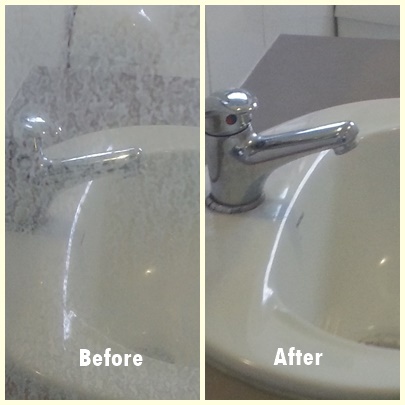 Using our specialist, non-scratch cleaning power tools and our unique, bio-degradable cleaning paste, we remove the calcium deposits & hard water staining from your shower screens so they are crystal clear again. Your shower screens will look and feel like new! 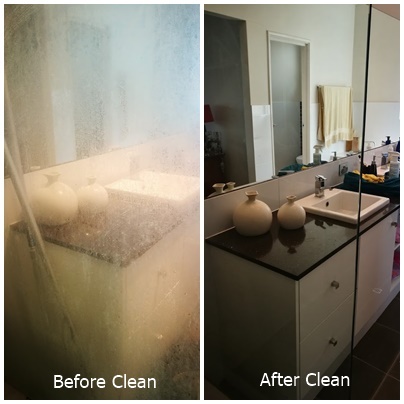 Alpine Shower Screen Cleaning Perth guarantee to totally transform your shower glass panels and pool glass balustrades back to “As near to new condition as possible”, leaving them sparkling and hygienically clean. We can normally achieve results of between 90 – 98%, providing the glass has not been damaged or scratched or burnished by previous attempts at cleaning. 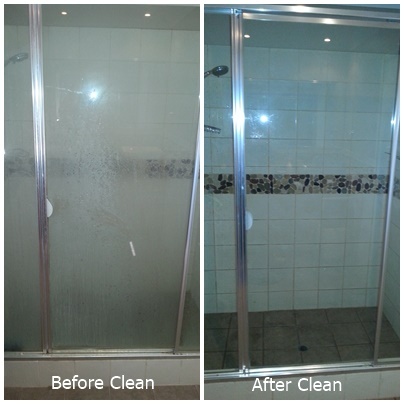 We are one of Perth’s oldest and most reliable shower screen cleaning businesses in Perth. 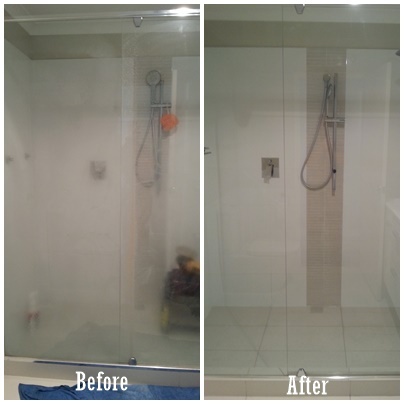 We have been transforming thousands of glass shower screens in Peth’s Northern Suburbs since 1998. Our business is based on real value for money and good old-fashioned friendly service. It costs a fraction of the price than getting new screens, and there’s no hassle! 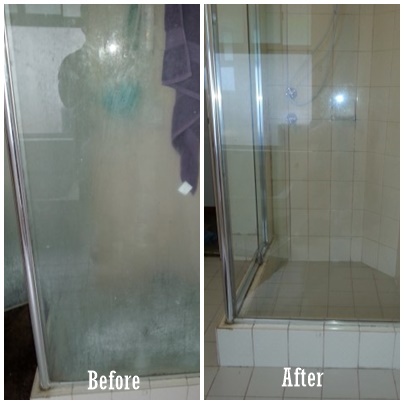 Alpine Shower Screen Cleaning Perth is a family owned and operated business who pride themselves on providing excellent customer service. Our goal is to achieve long and lasting and results, by using best products and techniques. 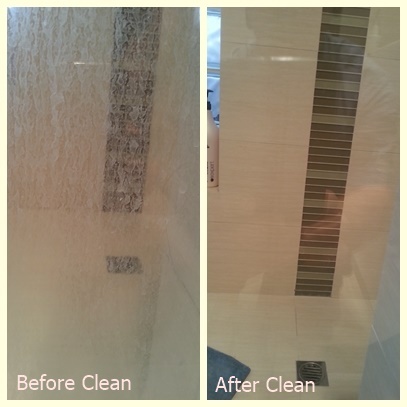 After using many chemicals & plenty of elbow grease our shower screens still looked awful & I was weighing up the cost of replacing them, but after booking Paul from Alpine to come and clean them we were amazed how they came up, even all the trim around the screens came up perfectly, I would highly recommend this service, see what difference it makes for you. Hours of time, frustration & back-breaking work saved by getting us in! We offer great value for money and get great results! 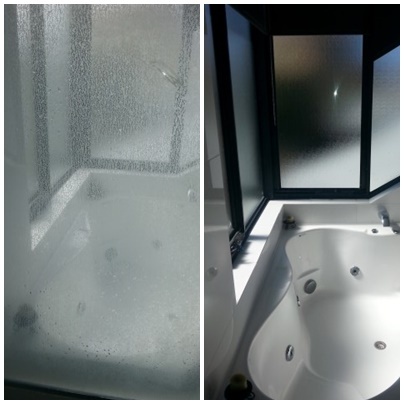 Alpine Shower Screen Cleaning Perth use professional, non-scratch polishing tools! 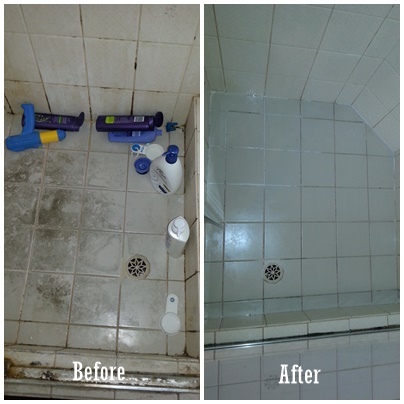 Our shower screen cleaning product is a safe, non-toxic and biodegradable one! We are a professional cleaning business, fully insured & offer a 100% satisfaction guarantee on all our work! Become one of our satisfied clients and we guarantee you will never want to use any other carpet cleaning business again! i.e. 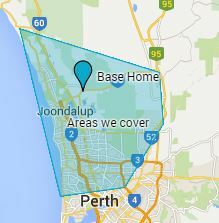 Joondalup, Woodvale, Kingsley, Duncraig, Iluka, Sorrento, Hillarys, Carine, Ocean Reef, Scarborough, Wembley, Kinross, Connolly, Currambine, Morley, Balcatta, Dianella, Butler, Wanneroo and more! Extend the lifetime of your calcium clear shower screens by getting Nanovation Glass Protective Coating applied after cleaning for as little as $75+GST per panel. This will protect your screens from re-contamination, lasting the lifetime of your shower screens. No more calcium/hard water staining! This true nano-technology product outperforms any other glass protection products in the scope of abrasion, UV and chemical resistance!